Over the past decade, the US Environmental Protection Agency (EPA) has emphasized a watershed approach for integrated management and protection of rivers, lakes, estuaries, and other water bodies, moving away from the older method of focusing on single point sources. Because of the success of watershed management in addressing issues such as total maximum daily load (TMDL) development, watershed management is expected to become a cornerstone of environmental and regulatory policy as new issues, such as water sustainability and regional climate variability, come to the forefront. In 2003, EPA released a 5-year strategic water quality plan. Action items included in this plan are to promote watershed protection, promote watershed permitting and water quality trading between point and nonpoint sources as a cost effective tool to restore watershed integrity, support watershed partnerships to achieve clean water, and ensure implementation of TMDLs. This plan has increased watershed regulatory planning and management activities by government agencies. Tetra Tech has developed a web-based reference for the Electric Power Research Institute (EPRI) which contains information, documents, and links to resources to help users develop and implement effective strategies for watershed assessment and management and related topics. The website provides an overview of federal and state programs on watershed management, with a particular focus on TMDLs, and provides links to key guidance documents. 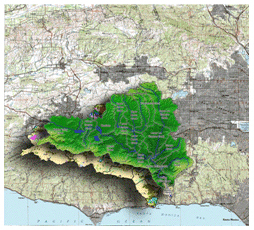 Information on watershed modeling and other watershed management tools is provided. The knowledge center also includes pollutant-specific case studies, particularly ones that involve or are of particular interest to utilities. Topic areas include water quality trading, watershed-based NPDES permitting, water sustainability, and hydropower. Information on regulatory advances, policy issues, implementation approaches, and emerging issues related to watershed management is included.